LEWIS CENTER, Ohio -- After detailing the top freshmen, sophomores and seniors from Battle for the City, it's time to finalize our coverage of the fourth-year event. The 2020 class, which has played in every rendition of the event since the current format was introduced in 2017, saw a new champion this year. The City League dominated from the opening tip and never looked back, as it took down the OCC and Central Ohio all stars in impressive fashion. Let's take a look at the top performers from the junior class. 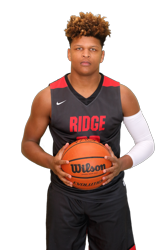 Von Cameron Davis (6’5 WF / Walnut Ridge / 2020): Earning overall MVP for class of 2020, Davis picked up right where he left off in the highschool season (averaged 27.1 ppg) turning in a dominant performance putting up 18.5 points and 8.5 rebounds over two games. He led the City League to a perfect 2-0 record . Davis scored often inside and showed off some bounce finishing above the rim consistently, but most impressive was the trio of threes that Davis made. His shot looked good and I’d like to see him take more in real games with the same confidence level. Davis’ stock will only continue to rise if he shoots like he did on Tuesday in leading the City League to its first Battle for the City title in two years. The most highly recruited player in his class at this point, Davis could rack up some serious offers on the Under Armour circuit this summer with C2K Elite. 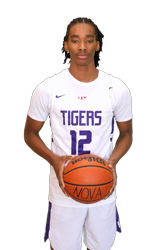 Tahleik Walker (6’2 CG / Pickerington Central / 2020): In a primary scoring role for the first time since this event a year ago, Walker took full advantage of his opportunity, scoring at will. The junior was able to finish at the rim consistently, but really wowed from beyond the arc, where he was ablaze knocking down seven threes in 30 minutes of play averaging 15.5 points over two games. For Pickerington Central, Walker spent most of his time as a spot up shooter and transition scorer. He was always tasked with guarding the opposing team's best player every night as he excels on the defensive end of the floor. With the Tigers graduating 11 seniors, we expect for the junior’s 4.5 point per game average to take a major increase next season and wouldn't be surprised to see him among the OCC’s leading scorers. We’d like to see him be more aggressive offensively, as at times it seems he doesn’t realize how good he is. Trevell Adams (5’11 PG / South / 2020): After opening eyes at the state tournament, Adams continued to shine at B4TC earning Co-MVP honors with Davis. B4TC’s up-tempo style suited Adams well as he was able put on a show. His athleticism was on full display on a NASTY inbound alley-oop he caught with one hand, showing off elite explosiveness and body control. He had a flurry of dunks and tough inside finishes totaling 17 points and 10 rebounds in his second game, a win over Central Ohio. Trevell has been a breakout player in the 2020 class, and we expect his stock to continue to rise with a big 17u summer coming up. Behind continued dominant play from Adams, there’s no reason that South can’t make it back to the state tournament next season. Adams knocked down several shots from behind the arc on Tuesday, something he will need to continue to do to show how well rounded he really is as the area’s BEST two-way point guard. 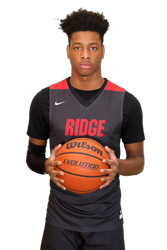 Kaveon Ross (6’5 PF / Walnut Ridge / 2020): Kaveon and Von Cameron flashed some high low ability with Ross on the receiving end of a number of passes from Davis at the top of the key. Ross lived above the rim Tuesday night, with almost all his points coming via dunks. A big, nimble forward with high-level athleticism and a motor to match, Ross is a nightmare to keep off the glass. Ross will be the X factor for a Walnut Ridge team that has hopes of of a deep tournament run next year. Ross has a big frame with broad shoulders and a strong lower body, things that have made him an intriguing football prospect as a wide receiver and tight end. The 6-foot-5 forward has grab and go ability with his serviceable handle, while Ross brings defensive versatility with his ability to move his feet on the perimeter while banging with the biggest posts on the block. Ross will be a key part of a Walnut Ridge team next year that will have what it takes to win a district title and more. 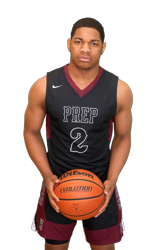 CJ Anthony (6’0 G / Harvest Prep / 2020): Fresh off a Division III state championship and D3 state player of the year honors, Anthony didn’t show any signs of slowing down at Battle for the City. Doing a little bit of everything, Anthony put on a show, averaging 16 points, five assists, and five rebounds over two games. Over the last two years, Anthony has come a long way as a perimeter shooter, as he is now a guy who can come off movement and bury threes, while remaining a threat to hit off the dribble. The next step we’d like to see him take is to develop more of a mid range pull up jumper or a floater, as a reliable in-between game will make him virtually unguardable, while also limiting the number of tough driving layups he takes per game. An even more efficient CJ Anthony would be an absolute nightmare for high school defenses next winter. 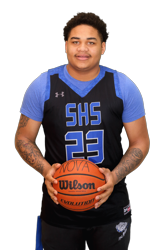 With a near flawless academic profile, Anthony is a guy who is deserving of Division I looks from high-academic programs, while we anticipate in-state low and mid-major programs will continue to keep their eyes on the 6-foot floor general. Anthony has a college-ready body and is the type of leader that is hard to find. 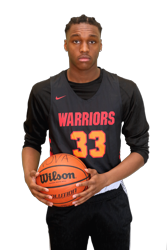 Bilal Sow (6’4 PF / Canal Winchester / 2020): The junior enjoyed a breakout year averaging 18 points per game. Sow had a nice B4TC showing doing all the dirty work on the boards for the OCC. It’s not often you see the effort level that he played with in an all star event and because of that, Sow stood out. Sow showed some range making defenders pay who left him open beyond the arc, knocking down three triples. He also had a big fast break slam that got the gym going. Bilal will lead the way next year for Canal in their quest to get over the hump against Newark and win the OCC-Capital. Sow has an extremely long wingspan, is a high IQ player who knows how to get to his spots and offers versatility on both ends of the floor with all the things he can do well. Isaiah Ingle (6’9 C / Northland / 2020): Spending almost all his time exclusively playing JV during his first two years, Ingle burst onto scene this year as a junior. Every viewing of him left me more impressed, as Ingle has developed into the area’s best shot blocking force. That was on full display as he came up with six blocks through two games on Tuesday night in helping the City League go undefeated. The junior post is oozing with potential and will be a pleasure to follow through AAU and his senior campaign. Ingle is one of the few true shot blockers in an area that is thin on post players with legit size at the moment. As he continues to fill into his long frame, Ingle could get his college completely paid for if he becomes a stronger finisher around the basket. It’s really hard to find legitimate shot blockers in Central Ohio right now and Ingle is the best of a select group. 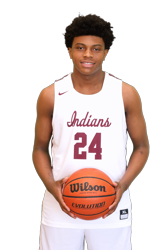 Cali Davis (6’1 CG / Africentric / 2020): Davis had a great junior campaign earning first team all-City while averaging 16.5 points per game this year. The junior showed off his deep range shooting ability, making two three threes from around 25 feet. Davis has three-and-D value at the next level, as he is an absolute hound defending the ball. 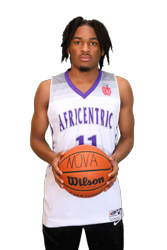 With that two-way ability, Davis should begin to attract some Division II and NAIA attention during the summer leading into a senior season where Africentric should contend among the area elite in Division III. We’d like to see Davis continue to grow as a player maker, as he is a talented passer and ball handler, who will really benefit by showing off the complete package on both ends of the floor. Great kid, hard worker and someone we endorse 100 percent. 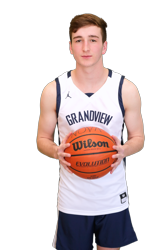 Brian Collier (6’0 G / Grandview / 2020): Collier was part of a three-headed monster with Luke Lachey and Manny Day that led Grandview Heights to a Division III district title. On Tuesday at B4TC, Collier really impressed, not forcing things and letting the game come him finishing with 17 points in the first game and overall impressing enough to make the Top 20 All-Star Game. Collier is most comfortable from beyond the arc where he knocked down four threes over the the two games. I expect Collier to average 20 points or more next year while helping Grandview capture a second consecutive district title. We are really impressed with Collier as an on-ball scorer, as he hits the pull up jumper as well as anyone in his class. Look for Collier to begin to attract Division II and III attention this summer. Kalil Camara (6’3 CG / Westland / 2020): The B4TC dunk contest champion, Camara is an uber athletic combo guard whose dunks have made him go viral on the internet. The B4TC tempo was right up his alley as he dazzled the crowd with highlight finishes all night long. Most impressive was a Gerald Green esque windmill alley-oop attempt. If he had completed that not only would it have made ESPN Top 10, but I would’ve personally shut the down the event. It was THAT crazy. 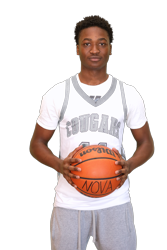 I look forward to watching Kalil’s senior year after spending the AAU season with Nova Village. Nova has gained a reputation for top notch player development and it’ll be scary to see what they can do with him over the course of the summer. Outside of his dunks, Camara is a change of pace ball handler that can get to the rim while showing the potential to be a reliable pull-up shooter. Camara looks to have grown an inch or two since the beginning of the summer, as he has legitimate size on the perimeter and the athletic tools to blossom into a legitimate two-way player. 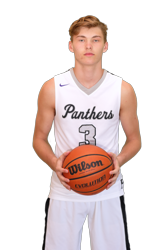 Hunter Shedenhelm (6’4 WG / Pickerington North / 2020): The B4TC three-point shootout champion, Shedenhelm now has bragging rights as the area’s top marksman, as he took down some elite shooters in the contest. Shedenhelm had a good junior year, helping Pickerington North reach the regional final for the second time in three years. The Panthers are my way too early favorite to come out of the region next year. In order for that to come to fruition Shedenhelm will be key. 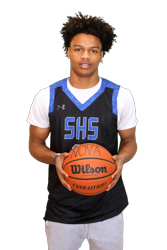 The 6-foot-4 wing moves very well laterally, is a plus-level athlete and has real two-way value, as he can defend on the perimeter as well as anybody in his class. We look for Shedenhelm to garner some serious high-level Division II interest, as the college programs in the gym on Tuesday kept asking about him. 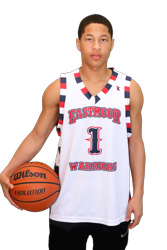 Julian Binford (5’9 G / Eastmoor / 2020): Coming off a junior season where he earned first team All-City honors, Binford carried that momentum over to B4TC as he wowed for the second year in the row. His game is truly tailor made for the up tempo style. When you add talent all around him, you get a show as Binford can pass it as well as anyone in his class. The junior put together some jaw dropping assists on Tuesday, finding open teammates as the City League rolled in both games. Binford picks up full court and really gets after opposing players, displaying great lateral quickness and the ability to disrupt ball handlers, despite not having great size. 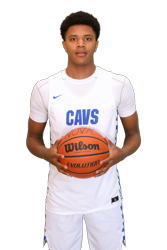 Offensively, he can use his quickness and tight handle to beat most defenders, as Binford can finish at the rim but is best at finding his teammates for easy looks. He is a tough matchup that you can’t lay off of because he is a more than capable perimeter threat. Look for Binford to have a great summer on the AAU circuit. Samual Barton (6’3 F / South / 2020): Fresh off a state championship appearance where he left everything on the floor, Barton filled in for injured teammate Taquan Simington and made the most of the opportunity. Going for 23 points and 13 rebounds in a win over Central Ohio in the second game, Barton just flat out worked harder than the opposition. Barton is a big bodied mobile forward who provides a ton of energy and does all the dirty work for the Bulldogs. In the state tournament, we were impressed with Barton’s toughness, confidence and defensive IQ, as he had a great showing as a team defender, making several key rotations in the final against Trotwood Madison to stifle what would have been easy layups at the rim. Barton will need to play a key role next season in order for South to get back to The Schott, and he could become even more effective if he can get in better shape and improve his conditioning. Jayvon Maughmer (6'4 WG / Chillicothe / 2020): The best prospect south of Franklin County, Maughmer had a strong showing for the Central Ohio All-Stars. The 6-foot-4 guard is a skilled shot maker who can fill it up from any point on the floor. We love that he is effective both on and off the ball, however, Maughmer is a talented playmaker who can get things going for others with the ball in his hands. The junior wing has solid length and is an above average athlete, which translates on both ends of the floor. When Maughmer gets in a rhythm, it's a thing of beauty as that was the case on Tuesday. With a handful of top Division II offers, Maughmer could play his way into some small school Division I looks with a great summer on the AAU scene. Vic Searls (6’7 C / St Charles / 2020): The big man showed some flashes with limited touches on Tuesday. The 6-foot-7 post is a load to handle down low, as he can finish over each shoulder with touch that is hard to teach. He’ll be a major piece for a St Charles team that has some young talent around him in freshman guards Jared Frey and Derrick James, who were both B4TC participants on Tuesday. Would like to see his stamina get to the point where he can play long stretches in a game, however, Searls has come a long way already, slimming a ton of weight from the start of the season until now. 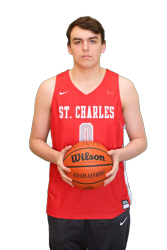 When he’s on the floor, St. Charles is hard to handle and will have a good shot at taking the Central Catholic League next year. Cole Metzler (6’5 PF / Canal Winchester / 2020): Metzler ran the floor really well and impressed with some finishes that were well above the rim and with authority. Metzler is a physical forward who uses his size and frame to bang in the post to create space to finish around the basket. The 6-foot-5 forward attacks the offensive glass, loves to contest shots and even has the ability to step out and shoot from the perimeter. A front court combo of Metzler and Sow isn’t something that opposing teams will look forward to next winter. 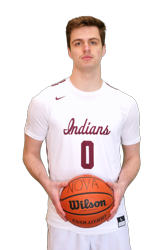 Metzler is at his best when he’s banging for rebounds and creating second chance opportunities for the Indians. Nakimba Mullins (6’5 PF / Worthington Christian / 2020): Mullins is a throwback post with soft hands and strong finishing ability near the rim. 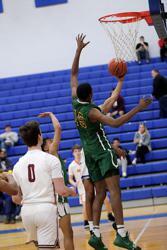 The 6-foot-5 junior had a strong outing against the OCC, going for 16 points and pulling down eight rebounds. We really like what Mullins can do on the block on both ends, as he generally sticks to what he does well as a low post scorer, rebounder and defender. Mullins can body up with most posts and has a long wingspan that helps him rebound against more athletic forwards. While his outside shooting still isn’t a consistent part of his game yet, improved performance in that area will help him round out his game as he should attract plenty of Division III attention over the next year.